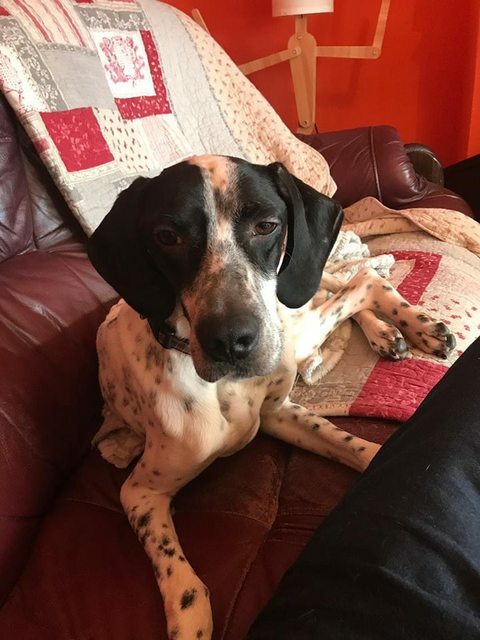 Bertie is a 3 year old male Pointer Cross. Bertie is a rescue from Cyprus who has flown to the UK to help him in his search for his forever family. He is currently with his foster mum in Isle of Wight. Here is a little bit about him: Bertie is a lovely, friendly boy who has survived being abandoned in Cyprus. He is playful and good with other dogs both in his foster home and when out walking. He is good on a lead and enjoys his walks. Bertie loves his food and this will certainly help with his ongoing training and bonding with his new family. He ignores the rabbit that lives in his foster home but has not met a cat so we do not know whether he might want to share his new home with one. He is working hard at his house training. He is good in his crate, sleeping well at night and doesn’t make a noise unless he needs the toilet. He doesn’t show any signs of separation anxiety when his foster mum goes out. 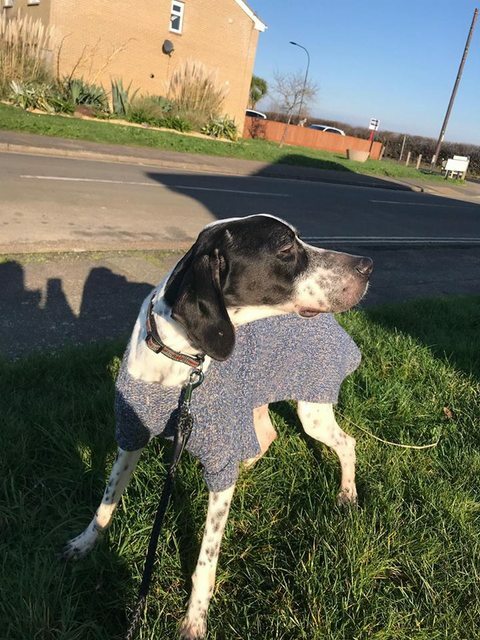 He is not currently living in a home with children, so we would recommend that any children in his new home are used to dogs and able to help him settle in his new family. Bertie would suit an active family that likes long walks and has the time to provide him with the support and love he needs. 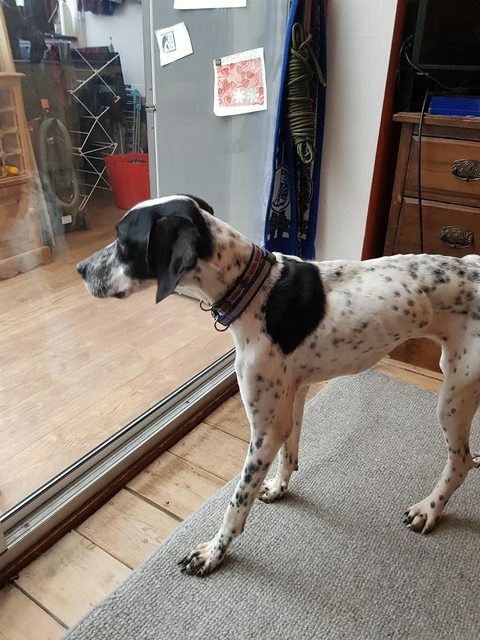 He is good with other dogs and would enjoy a doggy playmate in his new home but may be equally happy as an only dog providing his family can spend time with him, helping him have fun and learn how to be the perfect family pet he has the potential to be. If you have space on your sofa with room in your heart and would like this adorable boy to be part of your family, please contact us. He has been neutered, vaccinated and microchipped. Minimum adoption donation of £275 applies. ADOPTIONS SUBJECT TO HOME CHECK. Post adoption support is available from our charity.